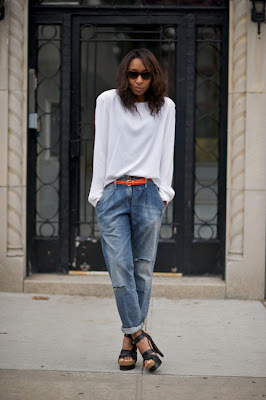 There seems to be a misconception that wearing boyfriend jeans will make you look massive. This is only true is you are wearing them with the wrong thing, or wearing the wrong jean in the first place. You don't need to go that much bigger than usual - a size at most. The two main looks are above - with heels to create a comfy-luxe look, and with flats/trainers to show off a more grunge/casual theme. Crop them a little to show a slim ankle (and who doesn't have a slim ankle... 99.9% of the world's women do so we should show them off) or partner them with heels to balance the height = result is great. They are perfect with the heeled trainers that are everywhere this season (check out my friend Natalie and her minor obsession with her Isabel Marant Willow Sneakers here to get the idea). Have tried my best to give some good examples with images here. 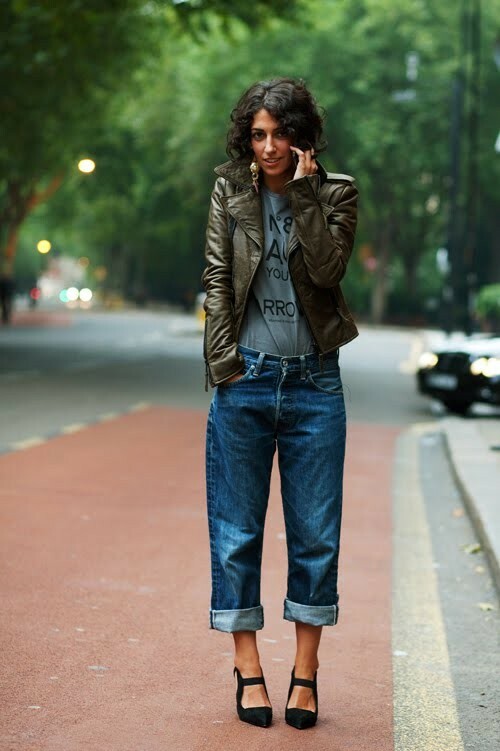 You can go all out grunge and where an equally large top and a trilby too... Also love the idea of slouchy jeans with a tailored shirt or sharp jacket. They're comfortable too, and girls always look better when they're comfortable. Doesn't take rocket science to get the idea that you should really pinch your boyfriend's to get the look. However, in practice - I've been with mine for years and count the number of times he has washed them with one hand. So I'd rather not. 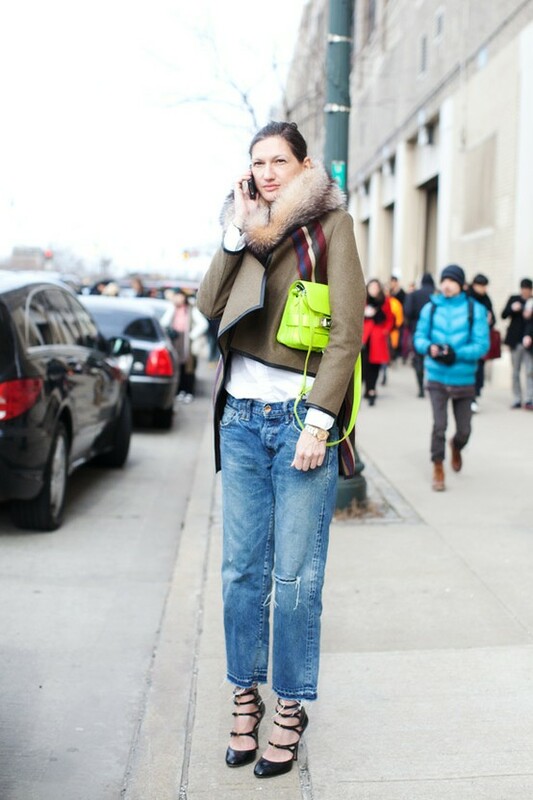 Good advice I was given by someone was just to go a size up in your regular denims - as you already the general shape works and you can just enjoy them being a little baggier. Topshop, J Brand, New Look (surprising entry, but their denim is fab) and H&M all have fab selections. Good old Gap won't let you down either. Vintage Levis are great too - I bought a pair from Beyond Retro in London for £20 and they are fantastic. I'd just relegated my boyfriend jeans to the charity shop bag but may take them out and experiment a little. I think they may need a little tapering around the ankle but could work. Great inspiration, I'll have to get mine out from the back of the wardrobe!